The perfect tool for professional construction workers. 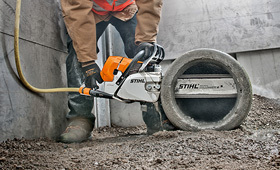 Ideal for cutting out corners in wall openings, wet cutting concrete, stone and masonry. Buy Better with STIHL.